Office Space - Verwood, Dorset. 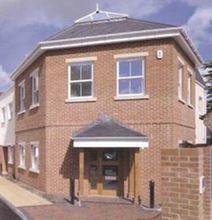 A newly constructed development providing high quality office units, which can be configured to a preferred size. All offices are carpeted and have under-floor heating. There is a free public car park behind the building. Located at Verwood, a short drive from the A31.